The new SBS drama Come Back Ahjussi (previously titled Hello My Precious Person/Goodbye My Beloved) has released its first teaser trailer. 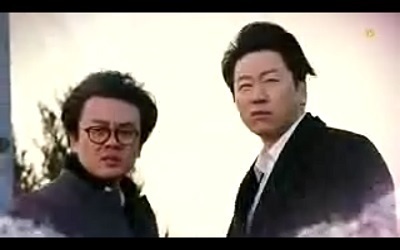 We see our two middle-aged guys played by Kim Su Ro (A Gentleman’s Dignity) and Kim In Kwon (You’re Beautiful) on a train to the afterlife. Apparently, they decide to escape the train which is what will result in them inhabiting the bodies of Rain (My Lovely Girl) and Oh Yeon Seo (Shine or Go Crazy). Several hilarious love triangles are then set in motion. You may be disappointed to see that neither Rain or Oh Yeon Seo were featured in this trailer. I’m sure they will be in the next one though. I must say though that this particular trailer didn’t really grab my attention. But we all know that trailers can be misleading sometimes. Since I really like the premise as well as Rain and Oh Yeon Seo, I still plan on keeping up with this drama. I look forward to seeing them in the next trailer! Come Back Ahjussi tells the story of two middle-aged men who die and then come back to earth and inhabit the bodies of a young man (Rain) and young woman (Oh Yeon Seo). Come Back Ahjussi is scheduled to premiere in late February on SBS. This entry was posted in News and tagged Come Back Ahjussi, kdrama, Kim In Kwon, Kim Su Ro, Korean Drama, Lee Min Jung, Oh Yeon Seo, Rain. Bookmark the permalink.